Who will be at Agile Australia 2017? In 2012, Agile Australia crossed the Tasman and founded Agile Encore in New Zealand. Reprising the highlights of the annual conference, Agile Encore now takes place each year in an alternate Australian city. 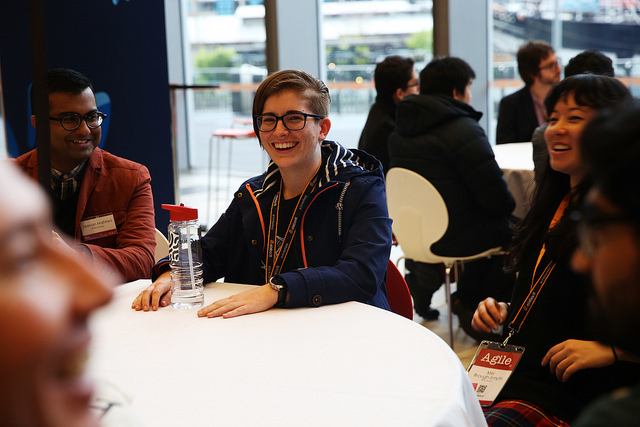 Agile Australia also launched a special student event, Activate Agile. This free event – run as part of the annual Conference – supports students interested in careers in tech. Secondary and tertiary students, along with their teachers, come along to hear from real technology professionals and make connections with the industry. Agile Australia is also home to the popular Agile Australia blog, and of course, the quarterly printed magazine, AgileTODAY. AgileTODAY features articles from leading Australian and international influencers. To support the learning of the Agile community, Agile Australia Workshops and training offerings have also expanded. In addition to annual workshops held in conjunction with the Conference and Agile Encore, Agile Australia hosts standalone and bespoke workshops and training courses, from local specialists and visiting thought-leaders like Barry O’Reilly. Also emerging from Agile Australia are special events, like the unique event experience The Deep Dive, an evening with robotics specialist Kate Darling, and the chance to meet New York Times best-selling author Brant Cooper. Agile Australia is managed by SlatteryIT and is dedicated to supporting Australia’s Agile community. In 2017, Agile Australia will hone in on the complexities, challenges and opportunities for leading a learning enterprise. Both experienced agilists and those new to Agile will benefit from a content-rich experience offering varying degrees of Agile expertise. 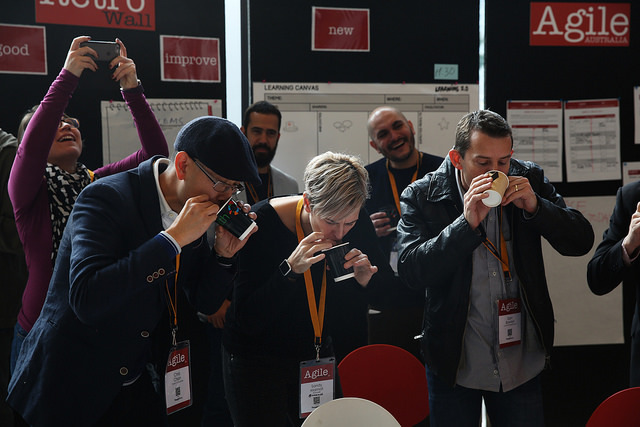 The Agile Australia Conference embraces a range of diverse topics, tools, strategies and frameworks, from Lean to design thinking, systems thinking and complexity. 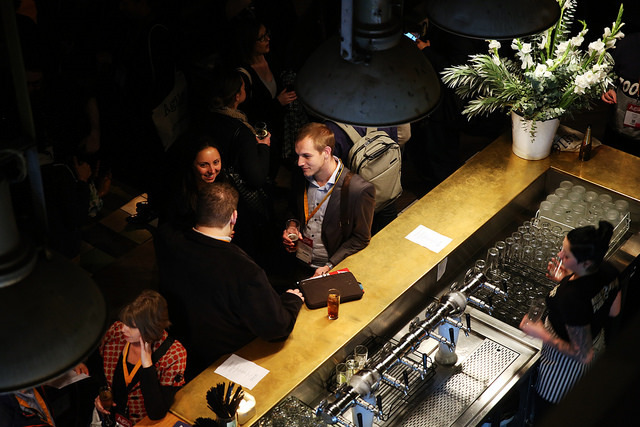 In 2016 Agile Australia attracted over 1200 delegates from the the largest enterprises specialising in telecommunications, finance, and insurance to Australia’s leading digital businesses. Bringing together technology leaders from across Australia, the Agile Australia 2017 audience will comprise a mixture of project and team leaders, coaches, software developers, testers, business analysts and the executive managers from the biggest enterprises to the youngest startups. Companies represented: Accenture, AGL, AMP, ANZ, Atlassian, Australia Post, ATO, Bupa Australia, CA Technologies, Carsales, Colonial First State, Commonwealth Bank, Dell, Deloitte, Department of Defence, Department of Social Services, DiUS, Elabor8, Envato, IAG, IBM, Industrie IT, Intelematics, IOOF, JP Morgan, Monash Health, MYOB, NAB, nbn co, News Corp, Qantas, REA Group, Reserve Bank of Australia, SEEK, Suncorp, Target, Telstra, ThoughtWorks, Transurban, University of Melbourne, Westpac and more. Common job titles: Agile Coach, Business Analyst, Iteration Manager, Project Manager, Director, Scrum Master, Software Developer, Delivery Lead, Development Manager, Partner, Senior Business Analyst, Senior Project Manager, Lead Business Analyst, Lead Consultant Principal Consultant, Product Manager, Developer, Founder, Program Manager, Agile Lead, Client Principal, Delivery Coach, Software Engineer, Account Manager, Agile Consultant, Consultant, CTO, Delivery Manager, Dev Team Lead, Engineering Manager, Head of Technology, Senior Consultant, Senior Developer. In 2017, Agile Australia received nearly 300 submissions to be a speaker through an open, anonymous submission system. About 30-49 submissions will be invited to be part of the final program. This community-driven, anonymous approach helps to create a truly outstanding Conference program. Over the years we have tried different approaches to bring together the Agile Australia Conference program. In 2016 we created a content ‘buckets’ system to try to encourage a greater variety of topics. This will continue in 2017 with eight different content ‘streams’ under which potential speakers can submit. Agile Australia uses a blind review system. Submitters (and their replies to comments) remain anonymous to all. The identity of shortlisted submissions is only revealed to Conference captains involved in the final program meeting. Coming up with the final program is more art than science. The captains are asked to look at the Conference program as a whole, to fill in any gaps and reduce overlaps. Agile Australia is a community which encourages the diversity of our experiences and backgrounds. When confirming the final Conference program, the Conference captains try and ensure that constituencies are not over- or under-represented. As creator and manager of the Agile Australia Conference, each year SlatteryIT oversees the entire event from beginning to end, including the creation of the program, speaker submission process, sponsor recruitment and management, promotion and marketing, and every aspect of execution. *Agile Australia is a Trademark owned by Slattery IT Consulting Pty Ltd (ABN 16 095 689 295). Would you like to tell your team or your manager about Agile Australia 2017? Use our easy-to-print Flyer and ‘Letter to your Boss’ template to persuade your organisation of the value of attending Agile Australia.